Segment Lifter is used in the construction of precast segmental balanced cantilever bridges. 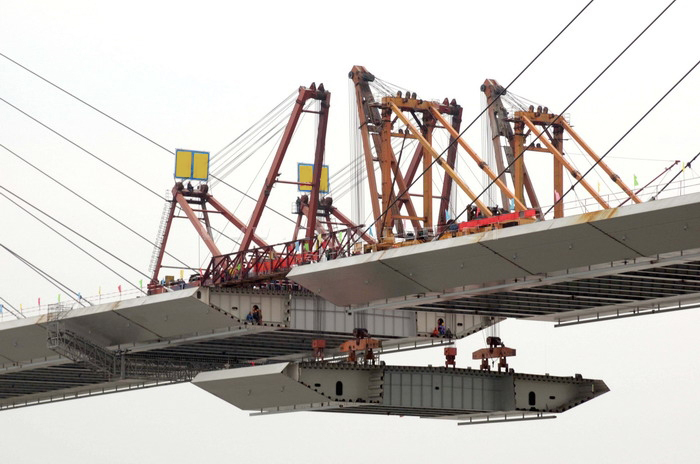 The crane and steel structure are designed in accordance with FEM 1.001 and international codes respectively. The self launching segmental lifter is launched via hydraulic system which gives a safe launching for the equipment.